The polite but partisan mayoral election of 1965 gives the city a clear choice between continuity and change: —Businessman George Hall, who ran Henry Reynolds’s successful campaigns in 1961 and 63, and Dane County clerk Otto Festge. Hall, sixty-four, is chairman of the Hyland Hall construction company and H & H Electric, president of the board of directors of Madison General Hospital, and a member of the Rotary Club and Zor Shrine. Festge, forty-four, is a former part-time farmer who began his career in public service as Cross Plains town assessor in 1946 and has been county clerk since 1953; he’s a member of the Lions Club. [i] Festge is also a talented multi-instrumentalist who played with the Madison Symphony Orchestra when he was at the university, and was later a public school music teacher in Black Earth. The race is largely free of the personal invective that marked the 1963 campaign, but there are clear disagreements between the candidates. Both candidates say they want to buy forty-acres at Milwaukee Street and Highway 51 for a full general hospital, possibly run by a religious or charitable organization. [x] And each supports the police taking photographs at political demonstrations. There’s little doubt about the outcome. Four years of Republican rule is enough for Madison. Festge carries nineteen of twenty-two wards on his way to a landslide twenty-point victory, 24,811 to 16,589. 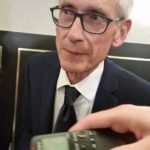 [xi] Madison will have its first Democratic mayor since the third month of the Kennedy Administration. Festge lays out an ambitious agenda in his inaugural message: settle the longstanding dispute with the Wright Foundation over fees and start a new auditorium process, identify and acquire land for the “sorely needed” east side hospital, meet the “great need of improved public transportation,” improve relations with the university, establish a “Madison Area Planning and Policy Advisory Committee for Teamwork” to pursue greater cooperation and coordination with area municipalities, and reduce the council’s role in routine personnel reclassifications. [i] John T. Aehl, “George Hall Enters Race for Mayor,” WSJ, December 10, 1964; Owen Coyle, “Mayor Says ‘No,’ Will Back Hall,” CT, December 12, 1964; Coyle, “Festge Runs for Mayor,” CT, December 12, 1964; Otto Festge Oral History, interviewed by Ruth Doyle, 1989, Historic Madison, Inc.; William R. Wineke, “Former Mayor Festge Dies at 86; He Was Madison’s Mayor for Two Terms,” WSJ, November 6, 2007. [ii] “Dane GOP Chairman Is Helping Campaign of Hall for Mayor,” CT, January 14, 1965; “Doyle Cites Festge’s Work as Important Background,” CT, March 29, 1965. [iii] “11 City Labor Leaders Support Hall for Mayor,” WSJ, January 17, 1965; Witt, “COPE Endorses Hall, Festge,” WSJ, February 19, 1965; Coyle, “Terrace Dominates COPE Candidate Forum,” CT, February 19, 1965; editorial, “How Long Will Madison Let Ald. Rohr Dictate Its Politics,” CT, February 19, 1965; Brautigam, “COPE Continues Dual OK for Festge, Hall,” CT, March 23, 1965. [iv] Coyle, “Dyke Indicates Favor for Monona Terrace,” CT, January 21, 1965; “Hall Ends Silence, Raps Terrace Auditorium Site,” CT, February 8, 1965; editorial, “Festge’s Stuck with Terrace,” WSJ, February 23, 1965; Coyle, “Hall Favors Expressway through Site of Terrace,” CT, March 13, 1965; Brautigam, “Major Rivals Say That Terrace Site Is Principle[Principal?] yes Issue,” CT, March 17, 1965. 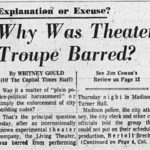 [v] Witt, “Mayor Candidates Oppose Skywalks,” WSJ, March 26, 1965; Brautigam, “Metropolitan Problems Take Spotlight at Forum,” CT, March 30; Coyle, “Auditorium, Road Plan Pace Candidates’ Jabs,” CT, April 1, 1965. [vi] “Festge Cites Lack of Land for Crosstown Expressway,” CT, March 22, 1965; “Bus Service in Madison,” WSJ, March 30, 1965. [vii]; “Festge Pledges Himself to City Beautification Program,” CT, April 1, 1965. [viii] “Hall Says City, County Health Agency Needed,” WSJ, March 29, 1965. 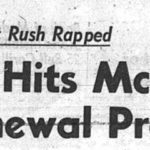 [ix] Brautigan, “Hall Maps Anti-C-T Campaign; Hits Festge ‘Machine’ and Hart,” CT, January 11, 1965; Brautigam, “Mayor Hits C-T as Council ‘Dictatort[Dictator?] yes,’” CT, March 26, 1965; editorial, “Festge Can Get Madison Moving Again,” CT, March 30, 1965; editorial, “George Hall: The Man for the Mayor’s Job,” WSJ, April 5, 1965. [x] “Hall Stresses Planning for New City Hospital,” WSJ, March 14, 1965; “Festge Presses Action on East Side Hospital,” WSJ, March 28, 1965. [xi] Aehl, “Festge Wins Mayor Race by 8,000 Votes,” WSJ, April 7, 1965; Coyle, “Festge in Landslide Win,” CT, April 7, 1965. [xii] Otto Festge, “Mayor’s Annual Message,” April 20, 1965, Wisconsin Historical Society Library, WI-M 1 MAY 50.1:1965/4/20; Coyle, “Council Urged: Shun Battles over Personnel,” CT, April 20, 1965; Aehl, “Festge Asks ‘Metro’ Planning,” WSJ, April 21, 1965.